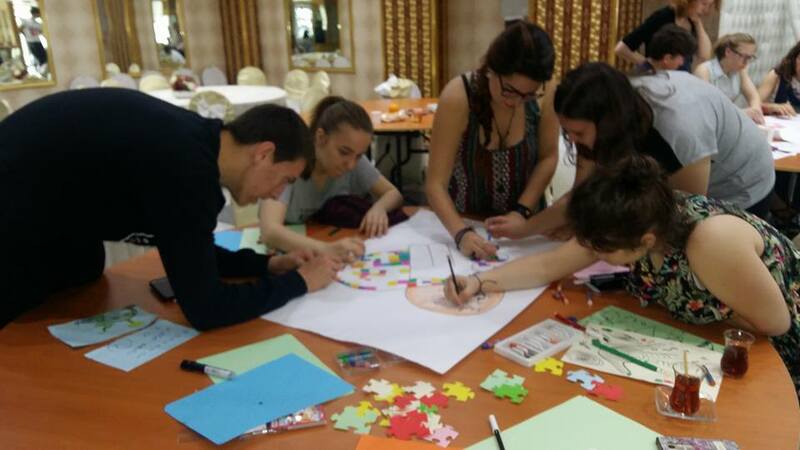 Erasmus+ project with the name Pieces of Same Puzzle funded by Turkish National Agency and EU was realized between 5-13 May in Düzce. There are 48 young people from Turkey, Italy, Spain, Macedonia, Bulgaria, Estonia, Latvia and Czech Republic. Participants were informed that autism was not a contagious disease as opposed to known, and they saw that the autistic individuals were also an entity that could think, feel, and be happy. They realize that the autistic individuals have their own unique talents, they saw that they can socialize, they become aware that they can be a social entity and have legal rights if they are educated. Participants who understand the importance of early recognition will be able to use their knowledge and experience in their own lives. Thanks to dissemination activities, the number of people who are knowledgeable and conscious about autism has also increased.